One of the world’s first personal computers, the Apple-1, sells for double its estimate at Bonhams History of Science auction. The computer that sold is said to have been one of the first fifty produced in the original batch. Steve Wozniak built the computers himself in Steve Job's family home in 1976. The Apple-1 is credited to have started the personal computer revolution. When it hit the market, the computer cost $666.66. Today, the Apple-1 had an estimate of $300,000 – $500,000 and sold for a grand total of $905,000. 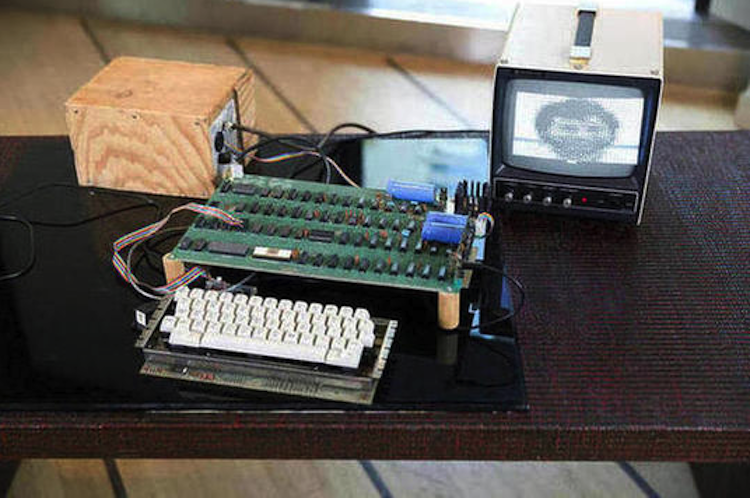 Along with the functioning computer, the winning bidder also took home a video of a speech given by Wozniak at the 1980 "Applevention" as well as equipment such as a motherboard, power supply and tape decks. Find all of Bonhams current auctions here.